White collar criminal cases have a methodology all their own and preparing for federal sentences as defense counsel requires particular considerations. This CLE course, presented by noted criminal defense attorney Benjamin Brafman, Esq. will explain the complex federal sentencing guidelines, the process for preparing a formal sentence memorandum and the legal and factual issues to consider specifically as they relate to fraud cases. The course will also offer strategies for preparing the client and their family for the potentially traumatic experience of the process itself. 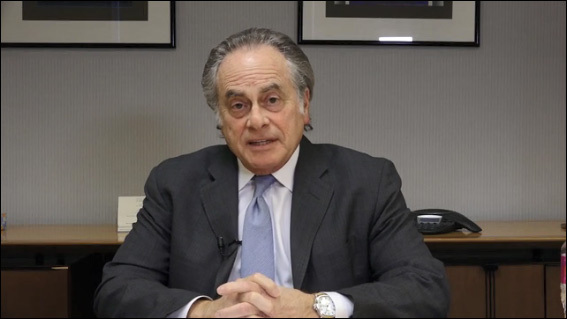 Benjamin Brafman is the principal of Brafman & Associates, P.C. law firm located in Manhattan. Mr. Brafman’s firm specializes in criminal law with an emphasis on White Collar criminal defense. Mr. Brafman, a former Assistant District Attorney in the New York County District Attorney’s Office, has been in private practice since 1980. Mr. Brafman is a Fellow in the American College of Trial Lawyers and was selected by New York Magazine as the “Best Criminal Defense Lawyer in New York.” He is also the recipient of the “first” ever Clarence Darrow Award for Distinguished Practitioner by the New York State Association of Criminal Defense Lawyers. Mr. Brafman has represented a wide range of high-profile celebrities, business leaders, lawyers and professionals in major criminal cases throughout the country including most recently the NY Giants superstar Plaxico Burress and former IMF Chief Dominique Strauss-Kahn.